Despite being a relatively small festival – and hosted on a boat – the Cinderella Whisky Fair has become a popular event with both exhibitors and visitors across Europe. However, as Emma Andersson discovers, there’s a trick to navigating through it safely. 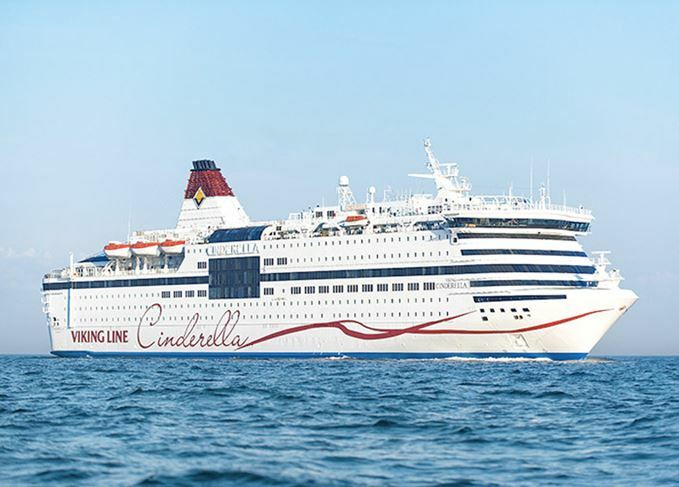 The Viking Line Cinderella can host up to 2,500 passengers as it sails the Baltic Sea. Once every year in the cold month of January the Baltic Sea hosts a beautiful whisky fair. This is when the M/S Cinderella becomes a Mecca for whisky enthusiasts from all over the world. Three separate overnight trips sailing from Stockholm in Sweden out to Mariehamn on the Aland islands, filled with masterclasses, new whisky launches and great people. Nowadays you can find whisky fairs all over the world – small, charming fairs for just a few hundred visitors to huge ones attracting thousands of people. It’s impossible to attend them all but sometimes curiosity takes over and you want to try something new. One would think it a bit strange to host a whisky fair in such a small country like Sweden with a population of only nine million people. But this is a country with hundreds of whisky clubs, several whisky distilleries plus the overall knowledge for whisky is exceptional. In Sweden there are four really big whisky fairs held every year but there are many more that are just as good, if not smaller, and the Cinderella Whisky Cruise, held this year on 14-16 January, is one of them. Booking tickets to the fair – which is a 23-hour affair – also involves booking one of the ship’s 845 cabins at the same time. You can either stay on your own or bring a few friends and bunk down together. However the cabins are small (except for a few bigger and more expensive ones) and we wouldn’t recommend that you try to fit more than two people in them. The fair begins at 6pm on the car deck – a strange location perhaps but the space really works – and is open for four hours in the evening and three hours during the following day. This year almost 700 different whisky expressions were on offer so there is plenty to try during your cruise. Of course the biggest and most recognisable brands show up, such as Glenfiddich, Highland Park, Talisker etc., but then there are a few really interesting smaller distilleries too, including some from both Sweden and Finland. There are around 30 masterclasses to choose from during the Cinderella Whisky Fair. At first you wonder how on earth you are going to fill 23 hours on a cruise ship. However when you realise that not only is there a lot of whisky to taste but also about 30 different masterclasses as well, then you find you really don’t know where to start. This year Ian Miller, global brand ambassador of Glenfiddich, was one of the many well-known faces from the whisky world that hosted masterclasses during the fair. This was his last visit to Sweden as the global brand ambassador since later this year he plans to retire from his position and work on other interesting things for the company. To the people that have never attended one of Miller’s masterclasses over the years, I can only say that you have missed an interesting experience. You can understand why a lot of the new whisky ambassadors look up to him. He is such a professional man and knows how to make sure visitors have the time of their lives. To sing ‘Solera’ together with 50 other people you have never met is interesting for sure, and I think all the people that came to Miller’s tasting on the Cinderella were sent back home with a big smile on their faces. Sweden has a government-regulated monopoly that sells wine and spirits, meaning certain whisky expressions just aren’t available to buy in the country. Visitors to Sweden’s whisky fairs are often disappointed that their favourite distillery is not present because it is not stocked by the monopoly. But this is where Cinderella is different. Since the cruise sails out into tax-free waters, anything is possible and the fair has become well regarded as a whisky wonderland. Just as with other whisky fairs around the world, exhibitors at Cinderella often take the opportunity to launch new products or special releases. This year there were many special releases on board but if you’re too slow to sample them, they are finished and gone. This year’s special release from the distillery, the Box Archipelago, sold out in minutes. Swift visitors at the fair could purchase a bottle for 999 SEK (£81), but the day after you could find them online for three times more. Box's stand is one of the most popular at the festival. I mentioned that this is a 23-hour trip, so what do you do when the fair is closed, you say? There is plenty. On board is a tax-free shop (if you have not already spent your money at the fair on whisky) where you can purchase gifts for friends and family. When it comes to food there is a buffet which is absolutely fine, but there are other restaurants too if you prefer. Don’t forget to book a table though. There is also a spa onboard but so far I have never heard of anyone who has had the time to visit it during the whisky fair. Since you’re on a boat you can’t really go anywhere, and neither can the exhibitors. The ambassadors, master blenders and distillery managers eat where all the visitors eat and in the evening the visitors can hang around with them in the whisky bar or on the dancefloor. It’s a very relaxed way of hanging out with your friends and new found buddies that you have made during the trip. For brave people there is a karaoke bar too. • If you want to visit this fair next year, book your tickets months in advance because the fair always gets fully booked. • The best time to go is on the Thursday and Friday. This is when collectors and the truly enthusiastic visitors are there. Not only that, the whisky exhibitors still find it fun and engaging to speak to people so early on. Three trips on the big blue can be overpowering sometimes. • Book a cabin with a window – it’s much less claustrophobic. • Drink lots of water! You don’t want to end up with a bad hangover the day after. Cabins are tiny and the waves some years have been mean. Drink responsibly. A final Dramboree reminds us that whisky doesn’t need ‘pomp and finery’ to fulfil its potential. Now in its 12th year, the event offers a great chance to assess the state of Scotch in Italy. The event drew thousands of visitors to sample hundreds of drams at the home of Scottish football. Merging one of Europe’s most popular music festivals with a worldwide selection of drams. The Swedish whisky collector now prefers to open bottles, rather than let them gather dust.